There are two different t-shirts in the experiment. Both feature white American abolitionists. 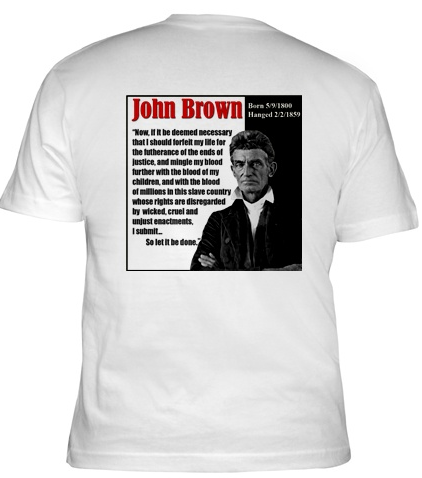 One of the t-shirts features a picture of John Brown , the other a picture of James and Lucretia Mott. See samples of each shirt below. 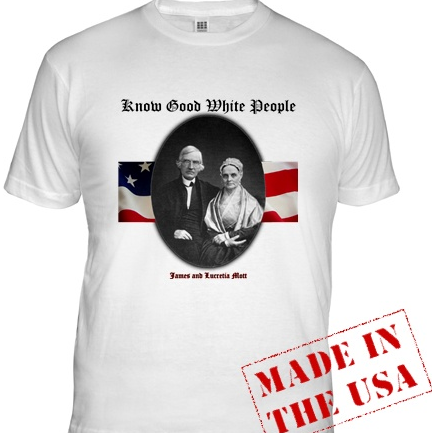 The shirt is free to ten selected participants who write to me at novelistkc@gmail.com Please include a brief paragraph about your interest and/or involvement in anti-racist issues, indicate your ethnicity(ies), and tell me why you are interested in this experiment. 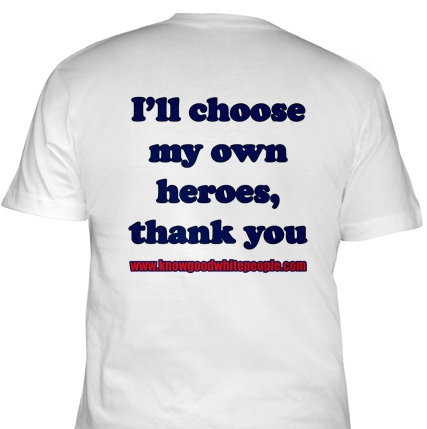 Also please include a mailing address, and indicate which of the shirts you would prefer (and why).